Event organizer, Dr. Danielle Garrett, assistant professor of chemistry education, held three day-long workshops in the advanced chemistry lab during the month of June. “Sharing this program and engaging with the teachers each year is always exciting for me! These days are not just about hands-on lab experiences for the teachers. These days produce such rich discussions about data, error analysis, new ideas and adaptations for science labs. It’s a good feeling knowing that this is a program that local teachers find useful, practical and fun!” Garrett said. This year, 43 attendees from 12 counties participated in the workshop series at Belmont, with more than 25 percent of the participants having attended at least one previous workshop since the program’s inception in 2015. Historically, most attendees have been from the middle Tennessee region. However, this year marked the beginning of the program reaching out-of-state teachers, with over 20 percent of the attendees coming from Kentucky. The workshop this year, titled “Beat the Heat, Catch a Wave and Make it Float,” engaged participants in lab work focusing on the determination of the heat of neutralization through solution calorimetry, the analysis of wavelength and light, and the exploration of density, percent composition by volume and weighted averages. Workshop participants not only received a complete instructor-student lab manual, but they also built an LED box and spectroscope that they were able to take back with them for use in their classrooms. Dr. Scott Hawley, physics professor, spoke at the recent Music City Data event, part of the Music City Tech conference, held at Vanderbilt University. The conference featured technology lead developers from Nashville and around the USA from Microsoft, Amazon, Eventbrite and Quicken, speaking on topics in healthcare, entertainment, finance and technology. Hawley shared experience in developing systems that incorporate artificial intelligence and signal processing in a talk entitled, “Because Nobody Wants to Edit Drums: Building Trainable Audio Production Tools via Machine Learning.” Hawley joined the Belmont faculty in 2006 as an astrophysicist, but transitioned to acoustical and audio-related physics to better serve his students which are largely Audio Engineering Technology majors. At Music City Tech, Hawley received a Microsoft Azure cloud computing credits grant which he and AET/computer science undergraduate Ben Colburn plan to use to further their research. This fall, Hawley will be co-chairing a session at the Acoustical Society of America conference entitled “Modeling Musical Instruments and Effects (Joint session between Musical Acoustics and Signal Processing in Acoustics)”. Assistant Professor of Chemistry Education Dr. Danielle Garrett recently hosted 47 4th grade students from Donelson Christian Academy (DCA) for a chemistry field trip about light and color. 4th grade teachers Ellen Deathridge, Tabitha Ingram and Natalie Brown also attended. The field trip was developed as part of Garrett’s work with the American Chemical Society (ACS) Science Coaches program. During their time at Belmont, students learned how scattering light can affect the colors we see in the demonstration “why are sunsets red?” They saw how mixing blue, green and red light produces white light and how prisms separate white light into the colors of the visible spectrum. Students made their own color wheel, observing how the individual rainbow colors blend and appear white, when spun very quickly and learned about the role electrons play in neon signs. Observing the impact of various colored film squares placed over a glow-in-the-dark pad as it was charging, students were introduced to ideas behind the photoelectric effect. After lunch, fun with science continued as students performed the original hands-on lab activity that launched the idea for the field trip, exploring the wavelength of LEDs using spectroscopes. The culminating event for the day was the flame test. Students visited the general chemistry lab where they saw the colorful effects of exposing potassium, copper, barium, calcium and strontium ions to a flame. Congratulations to our May 2018 Chemistry Graduates! March has been a busy month for chemistry outreach with both high school students in the Middle Tennessee area and Belmont students. Belmont’s Department of Chemistry and Physics hosted its third annual guided-inquiry chromatography workshop for high school chemistry students. Event organizer and Assistant Professor of Chemistry Education Dr. Danielle Garrett held two workshops on campus during March. During these workshops, 41 students, from 10 schools had the opportunity to participate in hands-on science in “Sweet Sweet Chemistry: A Chromatography Challenge.” After a mini-lecture and discussion covering relevant background information and experimental techniques, each student worked to extract dye from candy and determine the most effective solvent system for achieving the best separation of colors in the dye mixture. The Women in Science (WIS) student organization also recently hosted their 3rd “Spa Day” event. Students were invited to take a few minutes to reflect and relax during this busy time of the year. Based on the natural properties of the ingredients, such as the exfoliating properties of brown sugar and green tea, the antioxidant benefits from olive oil and the skin tightening properties of egg whites, WIS officers Crystal Lemus, Maddy Clarke Williams, Bailey Bergmann, Shaoyun Yang, Aditi Buch and Claire Holden led participants in making two natural exfoliating scrubs and a facial mask. On Friday, March 16, Belmont University hosted Mike Tabor, DDS, as a speaker for an on-going linked cohort course (LCC). For the past three years, Dr. Danielle Garrett, assistant professor of chemistry education and Dr. Linda Holt, associate dean of CLASS and associate professor of English, have participated in a LCC, linking a major chemistry course and a literature course during the spring semester. The common theme for the two courses is forensic science. Each year, through a QEP grant, they have been able to involve their students in an interesting and engaging experience, including visiting the Tennessee Bureau of Investigation, bringing an interactive mystery theater production to class and inviting an author as a guest speaker. This year, they sought out Tabor, a native Tennessean, who currently runs a local private dental practice and is involved in forensic dentistry where he uses dentistry in forensic identification. Tabor has served as the Chief Forensic Odontologist for the State Medical Examiner’s office in Nashville since 1983. In addition to his private clinical practice, he has served as President of the Tennessee Board of Dental Examiners, President of the American Board of Forensic Odontology and the Section Chair for the Odontology Section of the American Academy of Forensic Science. He also serves as a senior consultant for the Criminal Investigations Division of TBI under its Medicaid Fraud Unit. He is a nationally known speaker in his field of forensic odontology and has lectured internationally to dentists, law enforcement and death investigation officers in Australia, New Zealand and Haiti. He has coauthored two scientific texts in addition to his creative writing. From 2014-2017, Tabor was on faculty of the University of Tennessee College of Graduate Medicine at UT hospital as assistant professor of dentistry in Knoxville. He has authored Walk of Death, a forensic novel. His second manuscript, Out of the Darkness, has been completed and submitted for edit and publication for anticipated release. He is currently working on his third forensic novel, Grave Mistake, all three of which are based on his true case file experiences. Tabor was invited to campus as part of a two-part event. First, he held a Q&A discussion with students in the LCC. During this discussion, Tabor addressed his thoughts about the future of forensic science, how modern forensic fiction writers have more to write about with the maturation of DNA and how the introduction of DNA has impacted our legal system and the way human bite mark cases are handled. Tabor then spoke at a convocation event for Belmont students – Taking a Bite Out of Crime: How Forensic Dentistry Helps to Solve Mysteries – where he talked about what forensic science is, the need for forensic science and several interesting cases he worked on that were solved based on forensic dentistry. More than 100 students attended the convocation. Attendees were engaged, asking questions throughout the talk. Tabor even stayed after to continue discussions with several students. “We had a good number of questions from the students, more than I had been expecting. The detailed nature of the questions made it obvious that these students have a strong interest in forensic sciences,” Tabor said. Garrett and Holt felt that Tabor provided a unique perspective not only for their students, but for the Belmont community as a whole, helping them to develop insight into the challenges of accurately and effectively analyzing and communicating scientific information in writing, to gain awareness of the realities of the use of forensic techniques in criminal investigations, and to see the possibility of unique multi-disciplinary career opportunities. Hannah Peterson presented "Elucidation of amino acids regulating the species-selective activation of TRPM8 by coal fly ash particle"
Recently, Dr. Danielle Garrett, assistant professor of chemistry education, and two Belmont undergraduate students were invited to judge the Donelson Christian Academy (DCA) 6th – 8th grade science fair. Isria Jarrett, third-year biology major and chemistry minor and Jessica Bernaba, first-year biology major and chemistry-Spanish double minor, were selected to help judge the event. More than 80 projects were on display covering a wide range of topics in both the physical and biological sciences. After the judging was complete, the group spoke with DCA middle and high school science teachers about suggestions for continuing to strengthen the fair and student understanding of the scientific method for the following year. Dr. Scott Hawley, associate professor of Physics, has been accepted to participate in a program in Oxford, United Kingdom known as “Bridging the Two Cultures of Science and the Humanities II” for the 2018 and 2019 summers. The program is hosted by the SCIO center (Scholarship and Christianity in Oxford). Hawley’s proposed research topic of “Christian Responses to the Ascendency of Artificial Intelligence” will involve collaborating with University of Oxford faculty and other Christian scholars from around the world to address challenges and opportunities posed by the increasing prevalence and power of Machine Learning (ML) systems and their impact on society. Hawley began developing a passion for ML after attending a conference in 2014 where he identified key technologies likely to affect the careers of future students. Since then, he has worked with students applying ML techniques to solve problems related to acoustics and signal processing. He also maintains that ML has made him a better teacher. “There are many similarities between training AIs and training humans,” he said. The fields of Education and ML can benefit from these similarities. The joint agreement between Belmont University and the other institutes and agencies will also involve supplementing existing Faith & Science initiatives at Belmont and will provide funding for an undergraduate student in Humanities to serve as Hawley’s research assistant and study abroad in Oxford. Students interested in the paid research assistant position should contact Dr. Hawley directly at scott.hawley@belmont.edu. Those interested must be majoring religion, philosophy, honors or computer science, graduating in 2019 or 2020. The program is sponsored by a grant given by Bridging the Two Cultures of Science and the Humanities II, a project run by Scholarship and Christianity in Oxford, the UK subsidiary of the Council for Christian Colleges and Universities, with funding by Templeton Religion Trust and The Blankemeyer Foundation. In a continued tradition of community outreach and educational events, the College of Sciences and Mathematics (CSM) at Belmont University hosted a number of high school laboratory and science-based experiences for area students. The CSM faculty and staff are dedicated to introducing high school students to advanced laboratory techniques and the inter-connectivity found between the sciences, business, social sciences and the humanities. More than 200 students participated in the lectures, laboratory exercises and expositions throughout 2017. These STEM centered activities are slated for continuation in 2018 as high school students are given the opportunity to explore new, faculty-led laboratory exercises and take on the challenges of hypothesis-driven research. One event hosted 45 A.P. Chemistry students from three different area high schools in an interactive lecture on titrations led by event organizer Dr. Danielle Garrett, assistant professor of chemistry education. The program also held a high school psychology camp thanks to Dr. Linda Jones’s senior capstone project. Jones, chair of the department of psychological science, led 20 A.P. Psychology students in week-long projects involving psychological experimentation techniques and statistical analysis. These students then designed their capstone project, which is required for graduation from Metro Nashville schools, with these tools in mind. Currently, all 20 students are utilizing borrowed equipment to run experimental subjects in their own high schools. Jones and her colleagues engage students monthly and the high school partners will present their findings at the Belmont Undergraduate Research Symposium in April. Additionally, Dr. Lori McGrew, biology professor, hosted alumnus and Davidson Academy science teacher Jim Garrett in her neuropharmacology research lab. Garrett and two of his current students utilized Danio rerio (zebrafish) to investigate learning and memory. With the students’ help, Davidson Academy plans to establish their own zebrafish colony. The work completed by Garrett and his students will also facilitate collaborative data collection between Davidson Academy and Belmont. Perhaps the biggest event of the semester was the “Celebrating the Women of Physical Science” outreach event for high school students, coordinated by the Department of Chemistry and Physics STEM Committee. The event provided a tour of the chemistry and physics labs, a hands-on chemistry activity, a physics demo and presentation, a talk on “The Legacy of Marie Curie” and a keynote address titled, “With the Right Shoes You Can Do Anything.” Fifty high school students from 15 schools in Middle Tennessee attended. Finally, Dr. Steve Murphree, biology professor, coordinates free laboratory experiences for the home-schooled community of Middle Tennessee and conducted two programs in 2017. In November, home-schooled children were able to investigate animal behavior during the program titled, “Explorations in Animal Behavior – Betta Fish.” In December, students were able to compare human anatomy to that of cartilaginous fish in an exercises titled, “Shark Anatomy.” In October, a group of 150 middle school students from Lead Academy Middle School toured Belmont’s science labs. Members of Belmont’s Women in Science Club recently hosted a baking night led by Dr. Kimberlee Entsminger, professor of chemistry in the College of Sciences and Mathematics. Members were able to make their own souffles´ while learning the chemistry behind the process. As participants learned, beating eggs is all about science — and it’s physics and chemistry that make a souffle´ rise or fall. The first step in making an egg dish like a souffle´ is to separate the yolks from the whites, the fat from the protein. The yolk has fat and some protein, but the white is all protein, no fat. Beating egg whites relaxes the proteins by causing conformational changes. Sugar is then added to act as a “glue” that holds the egg white structure together in its relaxed state. When the egg mixture is baked at 350 degrees, air bubbles expand, making the souffle´ rise. The heat also causes the protein to stiffen, and along with the fat from the yolk, it forms a kind of scaffold that keeps the souffle´ from collapsing. Dr. Scott Hawley, associate professor of physics, recently had his article, “Visualizing Sound Directivity via Smartphone Sensors”, published in The Physics Teacher (TPT). TPT publishes peer-reviewed papers on the teaching of introductory physics, contemporary physics, applied physics and the history of physics. Dedicated to strengthening the teaching of introductory physics at all levels, including secondary schools colleges and universities, TPT provides peer-reviewed content and materials to be used in classrooms and instructional laboratories. Since publication, Hawley’s article has begun receiving favorable reviews on the “Audio Educators Forum”. Belmont University’s Department of Chemistry and Physics celebrated scientist Marie Curie’s 150th birthday with a Women in Science Symposium held Monday, November 6. The event, “Celebrating the Women of Physical Science” welcomed 50 local high school students, from 15 area high schools, who participated in lab tours, demonstrations and hands-on lab activities before Belmont faculty member Dr. Krista McBride led a short talk on the legacy of Curie’s life for the attendees and Belmont community. Immediately after, Dr. Judith Iriarte-Gross shared a keynote presentation, “With the Right Shoes, You Can Do Anything.” Iriarte-Gross is responsible for bringing Expanding Your Horizons (EYH), an international program bringing hands-on STEM experiences to girls, to Tennessee and is the recipient of the first American Chemical Society (ACS) Women Chemists Committee ChemLuminary Award for Most Innovative Recognition of Women in the Chemical Sciences. Event organizer and Assistant Professor of Chemistry Education Dr. Danielle Garrett said the Department hosted the event as a way to highlight the continued underrepresentation of women in the physical sciences, make physical science more relatable and accessible to students and heighten publicity of Belmont’s science programs. Citing research that shows women receive more than 50% of bachelor’s degrees in biological sciences but only 39% in physical sciences (and the number decreases when considering chemistry and physics), Garrett and the rest of the Department’s STEM Outreach Committee are committed to emphasizing the importance of women in STEM fields. Student members of the Belmont University Beta Chi Club volunteered and participated in the Leukemia and Lymphoma Society’s Light The Night 5k on Friday, October 20 at Nissan Stadium. Participants carried a “Belmont Beta Chi” sign while they walked in the event. The Beta Chi student organization exists to promote research in the area of biochemistry and molecular biology through seminars and laboratory opportunities, while providing a social setting for networking and volunteering. Marketing plan developed by Clyde Rolston’s students, who selected “Atlantis” as the first single based on market research. The full album will be available in late September. The video is available on YouTube at and the single is available by clicking here. More than 6,000 free solar eclipse glasses were handed out at Belmont this morning as droves of students, faculty, staff and family members descended upon the campus to experience the once-in-a-lifetime total solar eclipse with the University community. Below are links to a timelapse video of the event (from three difference perspectives) along with a link to a photo gallery from the event. Dr. Scott Hawley, associate professor of physics, spoke live on CNN and CNBC about the eclipse, providing expert input on the science behind the event. Meanwhile, Dr. Davon Ferrara, assistant professor of physics, lent his expertise to an early morning interview on the Fox Business Network. In addition, prior to Aug. 21, Belmont Professor of Biblical Studies Dr. Mark McEntire, Assistant Professor of Art Christine Rogers and College of Science and Mathematics Dean Dr. Thom Spence were featured in local media to discuss the upcoming eclipse. McEntire explained to WSMV that eclipses were historically viewed as “omens or signs,” signifying the coming of a tragedy or doomsday. Watch the full story here. Rogers, a professor of photography, asserted that filtering the lens of your camera is just as important as protecting your eyes form the sun’s light. Find her advice on taking the perfect eclipse photo here. In the Tennessean, Dr. Spence published an editorial about the history of solar eclipses and what witnesses can expect next Monday. Read his piece here. A number of high school students from the region also came to Belmont’s campus this morning to hear lectures from College of Science and Mathematics faculty and to experience the totality event. ~~Dr. Patrick Morse, Psychology, presented "Does the Full Moon make us (werewolves) Weird?" ~~Dr. Scott Hawley, Physics, presented "Celestial Mechanics and Solar Physics" and even performed a song he wrote for the Eclipse! Dr. Maria Danielle Garrett, assistant professor of chemistry education, recently published an article titled “Wavelength Analysis of LEDs using Handheld Spectroscopes” in The Chemical Educator, a peer-reviewed journal that focuses on laboratory experimentation and teaching methods. The article stemmed from her work with 4th grade students through the American Chemical Society Science Coaches program. This work gave Garrett the unique opportunity to collaborate with her father, Jack B. Garrett, PE, a licensed professional engineer with more than 20 years of mechanical engineering experience, who currently serves as vice president of capital asset management for HCP Incorporated in Franklin, Tennessee. Emmy award winning and “Game of Thrones” sound designer Paula Fairfield, in town for a Game of Thrones convention, visited Belmont on Thursday, June 29. Fairfield met with College of Science and Mathematics Dean Dr. Thom Spence, Physics Professor Dr. Scott Hawley and Belmont alumni and owner of OmegaLab studio Rob McClain. Hawley and McClain are part of the ASPIRE Co-op, a research co-op where members of the Nashville community–academics, entrepreneurs, engineers, musicians and enthusiasts– collaborate on innovative projects involving audio, acoustics and engineering. McClain arranged Fairfield’s visit to campus. Fairfield toured the acoustics research lab in the Janet Ayers Academic Center, Belmont’s audio and film production facilities and the new Gallery of Iconic Guitars museum. The group also visited Dave Warburton, Curb College, who showed the Atmos theater in the Johnson Center, and Ocean Way Studios where director Pat McMakin gave them a tour of the facility. These are just a few comments from attendees who continue to enjoy the hands-on chemistry lab experiences and professional development offered through the Department of Chemistry and Physics at Belmont University’s annual It’s Easy Being Green: Budget-Friendly Safety-Conscious Chemistry Labs for the Science Classroom of Today summer workshop series for middle and high school physical science and chemistry teachers. Dr. Scott Hawley, Physics, and Engineering Physics major Brynn Yonker recently attended the International Symposium on Musical Acoustics at McGill University in Montreal, Canada. They participated in a workshop on laser Electronic Speckle Pattern Interferometry (ESPI) taught by Dr. Thomas Moore (Rollins University, FL), the inventor of the ESPI method used in undergraduate universities worldwide. Yonker and Hawley attended the conference in order to gain insights on how to improve Belmont’s ESPI system to better study guitars, as shown in the photo, and other musical instruments. During one break, Dr. Moore introduced Hawley and Yonker to legendary acoustician and physics educator Dr. Thomas Rossing (https://ccrma.stanford.edu/people/thomas-rossing). Dr. Rossing had been told of Hawley’s “Polar Pattern Plotter” iOS app – the subject of Yonker’s summer Belmont SURFS research – and was interested in using it in his musical acoustics work at Stanford University. This meeting was particularly meaningful given that Hawley’s paper, about the iOS app and published in The Physics Teacher journal, began with a reference to the Rossing Prize in Acoustics Education! These are just a few of the catchy slogans students from Stewarts Creek High School developed during “Back Titrations: Neutralizing Agents – How Basic is It?,” a guided inquiry workshop for Advanced Placement (AP) Chemistry high school students. After piloting this workshop in December, Belmont’s Department of Chemistry and Physics recently hosted another offering on May 12, 2017. Event organizer Dr. Danielle Garrett, Assistant Professor of Chemistry Education, held a half-day workshop in the organic and advanced chemistry labs in the Janet Ayers Academic Center. Thirty AP Chemistry students attended from Stewarts Creek High School. After an interactive discussion covering topics including neutralization reactions, acid-base indicators, direct titrations and back titrations, each student worked to determine the effectiveness of commercial products used to reduce stomach acid. After collecting and analyzing their data, students worked in groups of 4-5 to create persuasive brochures, marketing the most effective neutralizing agent out of the various commercial products that were tested. The students were then treated to lunch, where they got the opportunity to visit the campus bookstore, and later returned for a tour of the CSM lab facilities. As part of their linked cohort course (LCC) experience this semester, students in Dr. Danielle Garrett’s CEM 1620 LCC worked on small group projects, researching forensic science/investigation topics, one of which was bloodstain analysis. As a follow-up, students recently spent time in the lab investigating the impact of distance and angle on simulated blood stains and patterns. Students used their results to try to interpret and recreate a simulated blood stain pattern from a fictional crime scene. The American Physical Society March Meeting is the largest international meeting of physicists in the world. This year, the meeting was held in New Orleans, LA from March 13-17. Three senior Belmont physics majors attended. Dr. Davon Ferrara, Physics, also attended and presented a poster titled, “West Coast Swing Dancing as a Driven Harmonic Oscillator Model”. The research was conducted with Belmont students Marie Holzer and Shirley Kyere during the 2016 Belmont summer SURFs program. In this project, they hypothesized that a driven harmonic oscillator model can be used to better understand the interaction between two west coast swing dancers since the “stiffness” of the physical connection between dance partners is a known factor in the dynamics of the dance. From the APS website ... Physicists at the APS March Meeting 2017 contributed to an outstanding scientific program consisting of more than 10,000 attendees, 105 invited sessions and approximately 600 contributed sessions at which over 8,100 papers were presented. Dr Ferrara counted at least 3 Nobel Prize winners in attendance! For a Study Abroad program in May 2016, Dr. Scott Hawley, Physics, wrote an iOS app, "Polar Pattern Plotter" for measuring sound directivity of loudspeakers and microphones. The app was released on the App Store last year (at http://apple.co/2lAAsMy). He also wrote a journal paper on the app, "Visualizing Sound Directivity via Smartphone Sensors," (written in collaboration with Nashville sound engineer Robert McClain, Jr.) that has just been accepted for publication by the journal The Physics Teacher. A pre-print of the paper is available on the arXiv.org server at https://arxiv.org/abs/1702.06072. Hawley has now made the app Open-Source in order to foster its development as a community tool. The code is available at https://github.com/drscotthawley/PolarPatternPlotter and the acoustics education community has received it favorably. This February, Belmont’s Department of Chemistry and Physics hosted its second annual guided-inquiry chromatography workshop for high school chemistry students. Over a two-day period, 39 high school chemistry students from 11 different schools attended “Sweet Sweet Chemistry: A Chromatography Challenge.” Several students traveled from as far away as Jackson, TN and Clarksville, TN to participate in this hands-on workshop. After an interactive discussion covering topics including polarity, solubility and chromatography, each student worked to extract dye from candy and develop the best solvent system for separating the dye mixture. This year, sophomore BMB major, Christopher Hansen, was on hand to help answer student questions. Students in Krista McBride’s Physics and Maggie Monteverde Science Fiction LCC pairing visited the US Space and Rocket Center in Huntsville on Saturday, February 11th. While there they were given a guided tour of the Davidson Center for Space Exploration, which houses among its many artifacts from the space program a giant Saturn V rocket of the type that sent men to the moon! They also saw a film about the manned Mars mission scheduled for 2032 and had the opportunity to walk through a mock-up of the International Space Station. The visit gave students the chance to learn about both real world applications of physics principles as well as ways science fiction is becoming science fact when it comes to space exploration. The trip was funded by a BellCore LCC instructional grant. Through her work with the American Chemical Society (ACS) Science Coaches program, Dr. Danielle Garrett, Assistant Professor of Chemistry Education, recently spent time teaching 4th grade students at Donelson Christian Academy about wavelength and visible light. In her lesson “Wavelength Analysis of LEDs using Handheld Spectroscopes,” forty-nine 4th grade students engaged in a lab activity to determine the wavelength of red, yellow, green and blue LEDs. Based on their measurements and class discussions about the relationship among wavelength, frequency and energy, students were challenged make predictions about the wavelengths of other colors of visible light. This is the 3rd year that Garrett has partnered with 4th grade teacher Ellen Deathridge through the ACS Science Coaches Program. “Back Titrations: Neutralizing Agents – How Basic is It?” a guided inquiry workshop for Advanced Placement (AP) Chemistry high school students, was recently hosted by the Department of Chemistry and Physics. Event organizer Dr. Danielle Garrett, Assistant Professor of Chemistry Education, held two half-day workshops in the chemistry labs in the Janet Ayers Academic Center on December 5 and December, 7, 2016. AP Chemistry classes from Christ Presbyterian Academy, CPA, (Nashville, TN) and Clarksville Academy (Clarksville, TN) had 29 students participating. In these hands-on workshops, students learned how to perform back-titrations and used this technique to compare the effectiveness of neutralizing agents in commercial products sold to reduce stomach acid. The student participants worked in groups to determine the most effective commercial neutralizing agent in 3-4 commercial products, based on evidence including both effectiveness and cost. The Belmont Chemistry Department celebrated National Chemistry Week with several events. During the Chemistry Colors our World convocation, Dr. Danielle Garrett and members of Student Members of the American Chemical Society (SMACS) discussed the chemistry behind tie-dying and guided students in tie dying t-shirts. During the Hey! Look at that Awesome Science convocation, Belmont students from National Science Teachers Association (NSTA) and SMACS lead demonstrations, explained various science experiments and discussed why things behave as they do. SMACS members also had a fundraiser in the 4th floor atrium of JAAC to celebrate Mole Day with Mole Day Scrabble and Cupcakes. Local high school students were invited to celebrate National Chemistry Week as the Chemistry Department at Belmont University hosted Belmont High School Chemistry Day 2016 on October 21st, from 8:30 AM-2:00 PM. There were a total of 23 high school students from five metro area high schools that participated. During Chemistry Day, Belmont students performed chemistry demonstrations and lead participants in a variety of hands-on activities showing how chemistry is used in the real world. The Belmont students that participated are: Bailey Rose, Londyn Eberhardt, Anna Margaret McDonnell, Hannah Burnette, Hope Kramer, Nick Orji, John Longenecker and Hannah Peterson, representing Chemistry, Biochemistry & Molecular Biology, and Neuroscience majors. Dr. Rachel Rigsby and Dr. Alison Parker, Chemistry, gave the students tours of the chemistry labs. Participants also enjoyed lunch in the cafeteria and were given a campus tour. Dr. Parker again hosted the annual cookout and pumpkin carving for the SMACS club. Several Belmont students, alumni and faculty showed up among the crowd at the September meeting of the Music City Chapter of the Acoustical Society of America (ASA) on September 21. The meeting was held at OmegaLab Studio and centered on the theme, “Cinema Sound.” Belmont Professors of Audio Engineering Technology Drs. Wesley A. Bulla and Jon Lechner were invited to speak at the meeting. Bulla spoke about the history of sound reproduction leading up to and including the Dolby Atmos, which is a leading-edge surround sound technology. Lechner spoke about sound design. Associate Professor of Physics Dr. Scott Hawley hosted the meeting and is the current president of the Music City ASA Chapter. The OmegaLab Studio was chosen as the location for the meeting due to its unusual off-the-grid setup. The studio is housed inside a surplus army tent in the woods and runs its array of speakers and lights by the use of car batteries, which are recharged by a current that runs from an adjacent house. The studio’s Owner and Engineer Rob McClain spoke about the unique sound opportunities this setup has due to the lack of sound reflections and other extraneous noises. This idea led way into a discussion between ASA members of what acoustical specifications should be made in mixing rooms to produce the best recordings possible. The purpose of Schnelle’s blog is to highlight individuals who successfully show their Christian faith through their vocation. Schnelle hopes to integrate faith and vocation in a way that is real and authentic. “In these interviews and blogs, I hope to use the bridges of sharing human experiences through art, science, conversation, debate and such to reveal God’s Spirit crossing over on them and being empirically present,” Schnelle said. In his interview, Hawley discussed how studying the sciences strengthened his commitment to worship as he experienced the wonder of God’s power and creation. This is the philosophy that sparked Schnelle’s interest in interviewing Hawley for SacredSpace. “Scott Hawley is a dear friend, and when we first met I was intrigued by the fact that he had a Ph.D. in relativity and is such a passionate and intelligent-thinking Christian, as well as an artist,” Schnelle said. Belmont’s Department of Chemistry and Physics recently hosted its second annual “It’s Easy Being Green: Budget-Friendly Safety-Conscious Chemistry Labs for the Science Classroom of Today” workshop series for middle and high school physical science and chemistry teachers in the Middle TN area. Workshop themes for this year were “Cranberry Chemistry: Science with Superfruits” and “Spice Up Your Chemistry Lab with Neutralization Reactions.” Event organizer Dr. Danielle Garrett, assistant professor of chemistry education, held four day-long workshops in the chemistry labs in the Janet Ayers Academic Center during the month of June. During these workshops, 42 attendees from 13 counties participated in hands-on science. All participants received a complete instructor-student lab manual, and teachers attending “Cranberry Chemistry: Science with Superfruits” each built a budget-friendly colorimeter that they were able to take back for classroom use. Belmont's National Science Teachers Association (NSTA) student chapter recently took science on the road by bringing a series of physical science and chemistry demonstrations to students at Nashville's Martin Luther King, Jr. Academic Magnet High School. NSTA President Katlin Stodard (Biology), Vice-President Sarah Cannavino (Chemistry), Secretary Ilyana Ilieva (Philosophy) and members Mary Barber (Biochemistry & Molecular Biology), Lindsey Dennis (Biology) and Chris Burdette (Chemistry) performed fun with liquid nitrogen, the iodine clock reaction, magic pepper and "elephant toothpaste." Faculty sponsor and Assistant Professor of Chemistry Dr. Danielle Garrett said she hopes this will become an annual event, allowing Belmont students to share their passion for science with the community. When asked why events like these are important Stodard said, "Being able to share the joy of science with others is the primary goal of NSTA. That's what happened during the demos at MLK -- students learned that science is fun! As a future teacher, watching students engage with the activities was a beautiful sight." Dr. Duane Hatch, Chemistry, has been awarded funding from the Department of Energy Office of Science for his recently submitted research proposal. He will perform his research at Los Alamos National Laboratory during summer 2016. The award is part of the DOE Visiting Faculty Program and is valued at $29,000. Dr. Hatch will also take and fund two Belmont undergraduate students, Ambrose Rice, a rising senior biology major, and Sherif Helmey, a rising junior biology major, to help perform the research outlined in the proposal. Dr. Hatch has also been reappointed as a guest scientist at Los Alamos National Lab. Cellulosic ethanol is a type of bio-fuel produced from biomass (lignocellulose) that is now being produced commercially. Non-food biomass is a viable raw material for bio-fuels and has brought increased attention to the need to remove lignin, which is as much as 25 wt % of non-food biomass (1). However, lignin deconstruction and removal presents a significant challenge as lignin's notorious recalcitrance frustrates the utility of lignocellulose as an economical source of bio-fuel raw material (2-4). Nature uses oxidative enzymes (peroxidases) to breakdown lignin (5). There are three major peroxidases used for lignin degradation: lignin peroxidase (LiP), manganese dependent peroxidase (MnP) and versatile peroxidase (VP). All these enzymes possess a heme group and an interesting catalytic tryptophan residue. Importantly, LiPs are strong oxidants with high-redox potential that chemically react with both phenolic and non-phenolic components of lignin. We are proposing to gain an intimate understanding of the LiP peroxidases mechanism and use this information to enhance its activity by mutating the catalytic Trp residue for a more polarizable amino acid, selenatryptophan (SeTrp). We will characterize the effects of SeTrp on the electron and radical delocalization and open the door for the use of these types of unnatural amino acids on the elucidation of complex enzymatic mechanisms. Dr. Davon Ferrara, Physics, recently gave at talk at the Adventure Science Center’s Science Café. The Science Café is a series of informal discussions on current issues in science and provides an opportunity to share your opinions, ideas and thoughts with other science lovers and to meet local scientists in a fun, casual setting. The title of Ferrara’s talk was: Physics and Ballroom Dancing. He discussed how basic physics concepts can be used to better understand the advanced techniques of ballroom dancing, while relating the theory to the results of a student-driven project using an iPhone to study the physics of cheerleading that can help make physics more interesting and relatable for students. Kayla LaFrance (class of 2009 – Engineering Physics major and Math minor) started a job at NASA in October, fulfilling a lifelong dream. She is the newest flight controller of the ISO -- Inventory and Storage Officer Team. She is located at NASA’s Johnson Space Center in Houston. To quote from Kayla’s Linked In page: I live my dream every day at Johnson Space Center in Houston, TX. After 18 years of dreaming and dedication, I now have the joy of working with manned space flight. I currently work as a contractor for NASA in the Flight Operations Directorate, training to be an ISO (Inventory and Storage Officer) Flight Controller for Mission Control. My future is wide open and I hope to find myself as a Flight Director, finishing my education with a Ph.D, and helping design the new mission ops concepts for future Mars Missions. And yes, I was on the TBS reality competition show, 'King of the Nerds.' Yes, I won, so yes, I am King of the Nerds. ReLeafing Day is the Nashville Tree Foundation's fall planting, held every year on the Saturday before Thanksgiving. On Saturday, November 21, ReLeafing Day was held in the Northwest Nashville neighborhoods of Bordeaux, Haynes Manor, Haynes Park, in public parks and along Titans Way with the Cumberland River Compact. Volunteers across the county come to plant trees in public spaces and private yards. Belmont student members of Beta- Beta-Beta, ECO, and SMACS , along with Dr. John Niedzwiecki, faculty advisor for ECO, participated in the tree planting. They planted four trees with the Nashville Tree Foundation. In partnership with Nashville Electric Service, the Tree Foundation has planted hundreds of trees that coexist with power lines since ReLeafing Day began in 2002. At the 170th Acoustical Society of America meeting in Jacksonville, FL, November 2-6, 2015, Belmont Associate Professor of Physics and songwriter Dr. Scott Hawley shared one of his science education songs. In his song "Baby in Hertz (Simple Harmonic Motion)," the chorus consists of spelling out an equation for oscillation (as a mathematical homage to R&B songs such as "R-E-S-P-E-C-T.") Hawley notes, "Simple Harmonic Motion is a fundamental paradigm for understanding a variety of phenomena not only in acoustics, but throughout physics." Accordingly, the lyrics of the 2nd verse of the song point out, "This phenomenon's so universal, I can't overemphasize it: Any force, for small displacements, you can prob'ly linearize it!" In the photo, Hawley is on guitar/vocals, and undergraduate Brandon Olmos, of Columbia College of Chicago's Bachelor in Acoustics program, is on drums. On September 26, 2015, five Belmont undergraduate students and Belmont faculty member Kimberlee Daus, Chemistry, participated in the Dickson County Drug Take-Back. This event was held on National Prescription Drug Take Back Day and was coordinated by Vanderbilt University and the Dickson Police Department. Working alongside faculty and students from Vanderbilt and Lipscomb University, Belmont Pharmaceutical Studies students cataloged and counted more than 50 pounds of medication. Students participating included: Mack Ogle, Teaghan Chen, Mackenzie Watson, Unique Ellis, and Allison Lane. The National Drug Take-Back Day, set by the DEA (Drug Enforcement Agency), provides a service to the community through safe and responsible disposal of unused medication. Additionally, these events help to educate the public about the potential drug abuse associated with these medications. 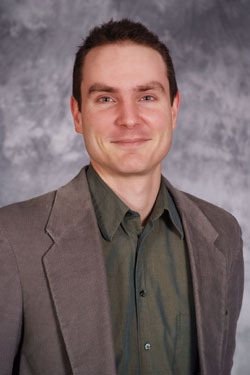 Dr. Duane Hatch, Assistant Professor of Chemistry, was selected to participate in the Department of Energy’s (DOE) Visiting Faculty Program (VFP) at the Los Alamos National Laboratory (LANL) for the Summer 2015 Term. Dr. Hatch submitted a proposal in January for the research that he has been working on here at Belmont. This is a highly competitive program that allows faculty to collaborate with some of the most talented scientists in the world. Selected faculty and participating students spend 10 weeks at a DOE national laboratory engaged in a research project under the guidance of a laboratory scientist. Faculty members build collaborative relationships with DOE research scientists, become familiar with DOE sponsored research programs, scientific user facilities, and potential funding opportunities. Students participate in enrichment activities, including career professional development workshops (e.g. technical and scientific writing skills development, poster, or oral presentation activities, etc. ), laboratory tours, scientific lectures and seminars. Host laboratories may provide laboratory tours, scientific lectures and seminars, workshops on accessing DOE scientific user facilities. Dr. Hatch’s collaborator at Los Alamos National Lab is Dr. Pete Silks and he will be hosting them in his lab. Two Belmont undergraduate students, Ryan Agh, Chemistry major - Mathematics minor, and Ambrose Rice, Biology major - Chemistry minor, joined Dr. Hatch. They worked directly with him on his research and received $5,000 each plus travel expenses for 10 weeks this summer. The total value of the proposal was $25,000. Former Physics Students Renovate Choir Room at C.P.A. Two of Dr. Scott Hawley’s former PHY2010 students were just involved in acoustical renovations for the choir room at Christ Presbyterian Academy (CPA). Tanner Roman and Gary Lancaster, both AET majors, teamed up with Randall Griffith of Harrison Entertainment Group to design and construct the new choir room. The Physics department is now using the idle time on their desktop computers in their McWhorter labs through the Berkeley Open Infrastructure for Network Computing (BOINC). BOINC is a program that lets you donate your idle computer time to various science projects. After installing BOINC on your computer, you can connect it to as many of these projects as you like. The intent of BOINC is to make it possible for researchers to tap into the enormous processing power of personal computers around the world. Belmont has enlisted its lab computers' idle time by joining the Einstein@Home project to search for weak astrophysical signals from spinning neutron stars (also called pulsars) using data from the LIGO gravitational-wave detectors, the Arecibo radio telescope, and the Fermi gamma-ray satellite. This will put Belmont in the top 1% of BOINC users in the world. In honor of Valentine’s Day, the Student Members of the American Chemical Society (SMACS) and Dr. Kimberlee Daus, Chemistry Professor, hosted a convocation event on the chemistry elements of Chocolate. Nutrition researcher Michael Levine, among others, has described chocolate as being the world's perfect food—chemically speaking. During this standing-room-only event, they talked about the six different possible crystalline states that are possible for chocolate – Stage V is desired for the ultimate physical characteristics (shiny with the nice “snap”) and demonstrated how to achieve it through tempering. They also discussed why Hershey’s chocolate has such a distinct taste and looked at the different chemicals responsible for the “feel good” aspects of chocolate. During this fun event, they explored the chemistry of chocolate, what makes chocolate really the perfect food, and had chocolate chemistry fun! Students in Dr. Scott Hawley’s PHY2010 course, Physics for Audio Engineering, built a ported speaker cabinet for the new isolation booth that was obtained for the College of Sciences & Mathematics Acoustics Teaching Lab. AET majors Ryan Yount, Chris O'Brien, and Ryan Morris are pictured taking measurements of the telescoping speaker cabinet they built as part of a class project. The students built a ported speaker cabinet, for which the resonant frequency (of the port) was tunable by varying the interior volume of the cabinet -- i.e. they created a tunable Helmholtz Resonator. The isolation booth was secured by CSM faculty Drs. Thom Spence, Robert Magruder and Scott Hawley for use with student undergraduate research and class projects which require more precise acoustical measurements than is afforded by a regular classroom environment. Belmont physics students and faculty attended the January Meeting of the Music City Chapter of the Acoustical Society of America (ASA), a division of the American Physical Society. The meeting was held at Omega Lab, a studio owned & operated by Belmont alumnus Robert McClain (Music Business with Production Emphasis, ’82). Omega Lab has received worldwide recognition not only for its uniqueness – the structure is a large army tent, powered via car batteries & car amplifiers, and boasts a set of IMAX speakers for 7.1 studio monitoring – but also for producing the Mando Blues radio show and for recently recording two of the Top-10-rated regional albums of 2014 according to the Nashville Bridge magazine. The meeting topic was a discussion on studio calibration for film and cinema production. In attendance were Belmont students Chris Waggy and Austin Arnold, both currently enrolled in PHY2250 “Electronics & Circuit Theory’, and Belmont Physics professor Dr. Scott Hawley, who serves as the Vice President for the organization. Nashville’s ASA Chapter is open to students, scientists, audio engineers and musicians, has monthly meetings in the Nashville area, and has grown to roughly 40 members since its inception in June 2014. For further information, visit http://musiccityasa.org. CAS associate dean of sciences and professor of chemistry, Kim Daus, was named the 2014-15 Chaney Distinguished Professor. The Chaney Distinguished Professor Award, determined on the basis of superior teaching, is presented each year to a faculty member who best represents the vision of the university to be a “premier teaching institution.” Of the honor, Daus said, "For me, receiving the Chaney Teaching award is truly a reflection of the best of Belmont – the amazing students who work so diligently to learn, the wonderful mentors and colleagues who encourage and inspire me in my teaching, and the strong administration who support and value classroom teaching. I am very honored and humbled to be this year's recipient of the Chaney Teaching Award." Dr. Kim Daus led a Maymester Junior Cornerstone course titled "Better Eating Through Chemistry: Using Chemistry to Improve Local Cuisine". The course is a great way to get non-science majors excited about organic chemistry while also encouraging better eating habits in college students. The course met five days a week for three weeks and included lectures, readings, problem solving assignments, research, field trips, experimentation and intensive group work and assessment. Each week students received a challenge that set up their research and collaboration for the following days. For example, students ate lunch locally at La Hacienda and Mas Tacos Por Favor and then were challenged to research and prepare a healthy, vegetarian Hispanic meal as one of their group projects. In addition to presenting their plates to the class, each group also had to explain the rationales for the recipes they created before all the participants got to test their research through a class meal. Field trips included visits to Noble Dairy Farm, Delvin Farm, and the Nashville Farmer's Market. Members of the Society of Physics Students recently presented a "Physics Circus" convocation event. The students presented various intriguing and exciting physics demonstrations. Physics students showed and explained the science behind phenomena such as beautiful Chladni patterns, the "ring launcher" device, alien-looking ferrofluid formations, and more. Dr. Scott Hawley, Associate Professor of Physics, serves as the faculty advisor for this student organization. Associate Professor of Chemistry Dr. Alison Moore and the Student Members of the American Chemical Society (SMACS) led an interactive crime-solving event for students during a recent convocation event. With a theme reminiscent of the popular CBS TV series “CSI,” students were challenged to play the role of Crime Scene Investigators and draw conclusions about a hypothetical crime based on their research. Students looked at evidence including fingerprints, DNA analysis and gas chromatography–mass spectrometry (GC-MS) analysis, which identifies different substances within a test sample. The students also investigated footprints and the ink chromatography of a note to evaluate suspects in a supposed murder. Evidence was used to include or exclude suspects during the investigation. Earlier in the week, the “CSI: Belmont” experience also offered a visit from a training specialist from the Tennessee Bureau of Investigation (TBI), who talked about the educational background required to work in crime investigation as well as the training investigators go through after they get the job.